You live and breathe at the pool when the heat index hits unbearable. Whether you're ordering an umbrella-garnished drink or staking claim to a lounge chair, these styles will keep you feeling cool and looking chic. 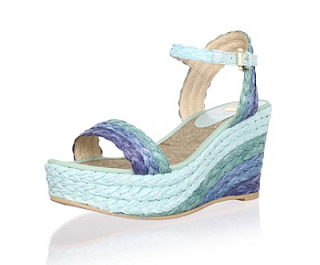 Platform wedges add height. Open strappy designs show off your pedicure. And relaxed boat shoes turned chukkas reflect your laid-back attitude. The details: Brands include André Assous, Jean-Michel Cazabat, Pura López, Delman and more. If you love Espadrilles, did you know you can find them on Ebay?